Homeowners the world over get down and dirty in the garden, according to recently released findings by market researcher GfK, with outdoor grooming most common Down Under. Forty-five percent of Australians spend time in the garden daily or weekly—the most of the 17 countries surveyed. 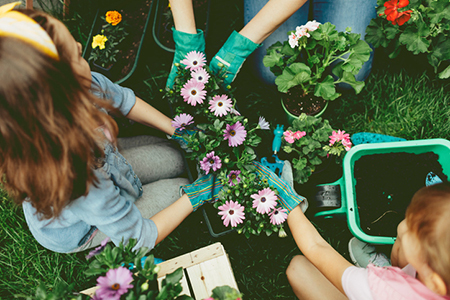 Gardening is also popular in China, Mexico, the U.S. and Germany, where one-third or more of those surveyed get out in the yard daily or weekly. Green-thumbing is a chore in some countries, however, especially in Argentina, Japan, Russia, Spain and South Korea, where most of those surveyed do not garden at all. Twenty-four percent of survey respondents across all the countries surveyed garden at least once per week, while 7 percent garden “every day” or “most days.” Thirty-six percent of those aged 60 or older garden daily or weekly—on par with the 35 percent of those in their 30s who do the same. Unsurprisingly, homeowners are twice as likely to garden daily or weekly than renters.